Currently viewing the tag: "tools"
This no cost webinar should be for PIN members only, BUT the information that Simon will share WILL benefit all property investors so we have asked that our readership be allowed to register. We have already registered to secure our place and we hope you can join us, as the information Simon promises to share will help many people profit from property and could be the boost that many property investors are looking for! I have a problem from which you can benefit. 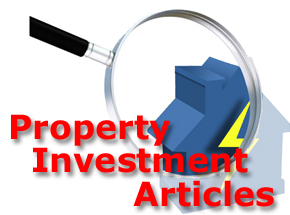 In the latest edition of my book Property Magic I have added a new chapter all about how you can make cash flow and equity growth from property that you don’t own using purchase lease options. (Have a look at Chapter 6). In that Chapter, I mentioned that I am writing a new book called “No Mortgage Required” which should be out by this Month. I have so many exciting projects at the moment that I am behind with writing the new book. one of my No Cost webinars and so I have set a date for Monday 2nd December at 9pm. it very easy to work out the most profitable way of structuring any option deal. 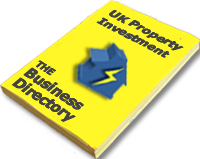 The only other time I have shared this tool was at a one off £2,000 (GBP) 3-day Options Bootcamp that I recorded for my Property Mastermind delegates. We filmed that event so that I don’t have to do it again. I am going to share this information with property investors who want real results for the very first time on Monday 2nd December at 9pm because I know that it will be of great benefit to all property investors. I hope you will join me on Monday night at 9pm. PS. Please be aware that options DO NOT work in many cases and so on this webinar, I will teach you the signs to look out for to save you a huge amount of time and effort. – it was REALLY, REALLY BUSY! For those that did manage to get through to Simon’s ‘Create Your Property Investment Strategy 2013’ webinar last night – It was amazing, wasn’t it?